Re: How to reduce your tummy? At 17, Yisrael settled in Lodz, where he began working in a chocolate factory. He soon gained renown, first as an unusually industrious worker and then as a master confectioner. His success soon allowed him to open his own factory. In 1928, he married a local woman, Chaja Feige Frucht, and the happy couple soon had two sons. In May 1940, Yisrael Kristal was confined to the Lodz ghetto along with 200,000 other Jews. He continued running his factory. German officers, as well as officials in the ghetto’s Judenrat, provided him with sugar and chocolate so that he could continue making sweets. 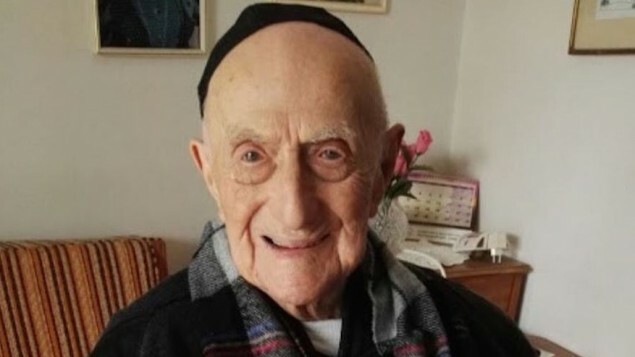 “His profession probably helped him survive,” Haim Kristal told me, explaining that German officers would celebrate their birthdays and order sweets for their relatives in Germany. “If you’re making them chocolates and candies they’re not so angry with you.” Being a confectioner insured that Yisrael and his wife avoided being deported to Chelmo, where most of the ghetto’s inhabitants were gassed. Picture taken March last year when he was confirmed oldest living man at 112. I'm Type 2 diabetic so unfortunately it's my current kryptonite. Good luck @louie! You can do it. Another 20 pounds for me this year and I'll probably be lean enough to show abs hahaha. I have stopped going to the gym after having a bad knee & being confined for 2wks coz of my HBP. I'll just let my pressure cooker do all the work for me from now on, also change of diet is really a MUST!!! It's all in the diet @wheelee. Stick to a low carb diet and you'll lose weight, get rid of that water retention which is most likely contributing to your HBP, and benefit from the anti inflammatory with regard to your knee pain. I skipped gym yesterday as my e-mails and conference calls give me high blood pressure. Parents are out of the house so I'm doing chores as my exercise for the day. Which reminds me, I need to go back to the laundry. They don't hang themselves on the line. "In mice, it induces fat cells to burn more energy instead of storing it." to add to the thread. The only way to reduce belly fat is to lose weight. When we lose weight we lose it everywhere, our head/face/feet/arms/fingers, etc. and for men the belly is the last to go (in women the hips and thighs are the last to go). There is no such thing as spot (ie belly) reduction, no exercise that targets this, no supplement, no injection etc. You lose weight by eating at a caloric deficit. Exercise is very very very very very inefficient in the context of weight loss. You lose weight by eating at a caloric deficit. Exercise is very very very very very inefficient in the context of weight loss. Invasive procedure naman yan eh hehe pero it has its downside and you can't lipo your way to 10% body fat for that chiseled look visible abs. I have given up on this Quest! ...but wait! Today I started 16:8 IF let's see I long I can keep this up. My big problem is that I sleep really very late which is mostly past 12mn.